CyberPower's RB0690X4 UPS replacement battery cartridge restores life to UPS systems with internal batteries that have become weak or completely depleted. 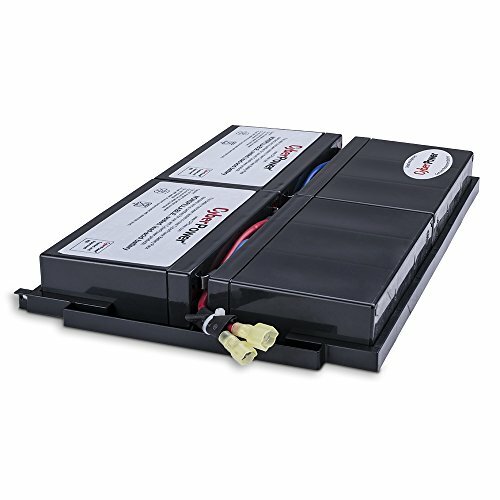 The RB0690X4 6V/9AH (quantity - 4) batteries are certified to meet or exceed original manufacturer specifications. All replacement cartridges come with leak proof sealed lead-acid batteries that are pre-assembled for easy installation into your CyberPower UPS system. Each CyberPower replacement battery cartridge ships with reusable packaging that can be used for delivery of expired batteries to a suitable recycling center. All CyberPower batteries come with an 18-month warranty. If you have any questions about this product by CyberPower, contact us by completing and submitting the form below. If you are looking for a specif part number, please include it with your message. BiXPower BP220 Super Capacity 223 Wh (60300mAh) 15V & 19V Rechargeable Battery Pack - UL/ IEC 62133 Certificated.